Billboards on the moon? Virtual Cheese tastings? 2018 is taking marketing to new heights! Take a peak into the future and a look back on the past, in this New Year's Eve edition of Inbound Marketing Highlights. Moon Marketing: innovative new media channel or just a PR stunt? 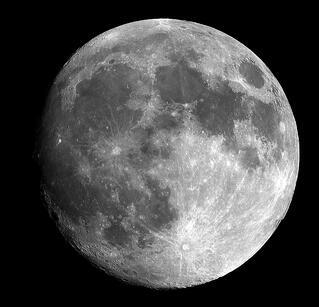 While this won't be happening in the new year, Japanese company, Ispace, says we can expect to see billboards on the moon in 2020! Although a lunar economy is still decades away, sponsorship opportunities are starting to open up. Many of you may remember Red Bull making headlines in 2012 when they sponsored Felix Baumgartner to jump from space to New Mexico. This record breaking stunt brought in 8 million viewers on their live stream! In fact, brands hoisting products into space is not a new concept, it first started in the 1960s when Omega put it's watches on astronauts. Things escalated after that once Pepsi developed space-friendly pop cans for passengers on the shuttle Challenger. With so many brands taking their marketing to space, it raises the question: Is this all just one, big publicity stunt? Or do these efforts actually offer a return on investment? According to the numbers, the first brands to do this generated a lot of attention and interest from the public, while followers were left in the dust. What were the top 10 retweeted-tweets of 2017? Well, most of them were political. The others were more serious statements, touching on issues like Hurricane Harvey and violence. The one outlier from the pack was a Nevada teen who asked Wendy’s for a year’s supply of chicken nuggets. Shockingly, this tweet became the most retweeted in history, with over 3.6 million shares!! Although the young man didn’t reach his initial goal of 18 million retweets, Wendy’s gave him the nuggets anyways. The deal seemed to be mutually beneficial, seeing as Wendy’s is the only brand to make it onto this list! The food industry has officially entered the AR/VR marketplace. Although development costs are high for these technologies, they've been proving themselves to be worthwhile. Those of you who got a VR headset for Christmas might be wondering: what use does the food industry have for a toy? Their goal is to implement VR into three main areas- Human Resources, customer experience, and food products. It's first main use is streamlining employee training. Training materials in the food industry can be costly and often vary by team, region, or store. Virtual reality can create a detailed visual world for employees to safely learn the tasks required and acclimate themselves with their everyday surrounding. With customer experience- the food industry is trying to create an experience that diners will remember. Today’s culture is driven by “experiential marketing,” with many viewing dining as a means of social capital. AR and VR technology can be used to activate all senses of the consumer, immersing them into a branded experience. There’s already a few VR dining experiences out there, one being called the “Boursin Sensorium,” where you can experience motion, scents, and tasting of Boursin cheese. Is that something you'd want to try? Google Chrome is cracking down on non-compliant ads this new year. This is expected to have large impact for certain websites who don’t meet the 'Coalition for Better Ads' standards. Full-page interstitials, automatic sound, and flashing ads are all on the banned list! Chrome is also offering tools and recommendations for people who are worried that their website might be non-compliant. By policing the ad experience, Chrome hopes to offer an alternative to third-party blocking tools that are already being used by many. Although “ad blocking” sounds scary and bad for marketers, it’s actually supposed to improve the ad experience for both advertisers and users, by providing a browser that's free from spam-like ads. With today’s technology, it's easier than ever to target the exact buyer you want. Do you want a 30-something year old, male to buy your product? Easy, set up a paid ad targeting only that demographic. What's different however, is using this technology to discriminate in your hiring process. And many big name companies have been called-out for doing just that! Is there a way Facebook can keep ad targeting while somehow preventing misuse? Some say, yes! Click the link above for the full story. That's this week in Inbound Marketing Highlights! Wishing all of you a Happy New Year and prosperous 2018. Stop by next week for more!